A Rochester, NY native, C.F. Duprey now lives in the Finger Lakes region of New York State. She is married and has two children and one cat. In her increasingly disappearing spare time she weaves (on a wonderful four-harness loom) and grows flowers, vegetables and weeds in her gardens. Richard Bassett leaves his farm, his wife and two little boys to join the army in order to preserve the Union, not knowing that four weeks into his service, he'll be a prisoner of war and unfairly branded a coward. 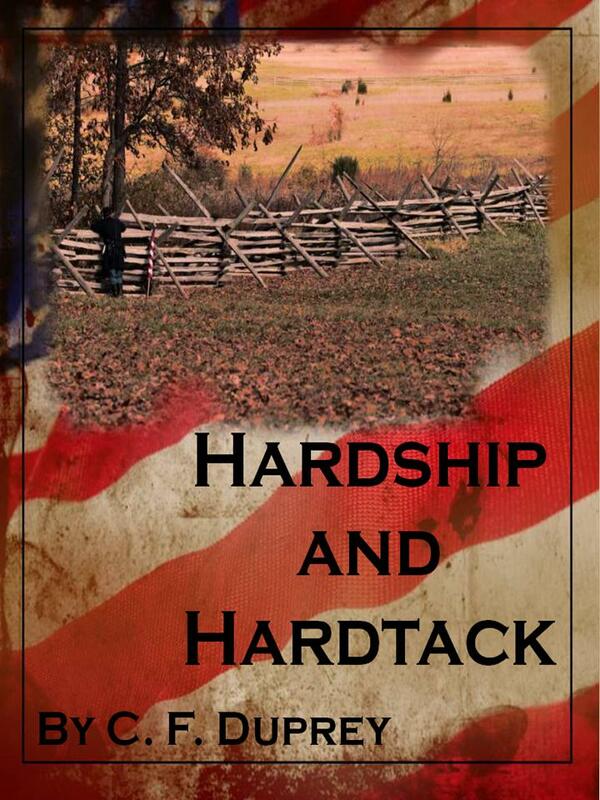 Based on the letters the very real Richard sent home to his wife during his first year of service, HARDSHIP AND HARDTACK details his struggle to survive in a time of turmoil.